The sub-title of the book is “a change-management guide for business, government and civil society”. This is the core reason this books resonates so strongly with me – it is the recognition that the biggest challenge in sustainability is achieving meaningful, long-lasting change in our organisations. Like everyone I love it when my own deeply-held beliefs are reinforced! But please don’t let my obvious bias get in the way – this really is a great book. So how about the content? Well the book is organised into two halves. The first part is essentially a précis of the main themes of the book. Through the example of two organisations (one successful, one not) some of the issues relating to achieving meaningful change are surfaced. There follows a primer on sustainability, which reminds us that the “take-make-waste“ economic model we are pursuing is doomed. However, if you want to choose just one chapter to read then I would recommend the final chapter in this first part of the book entitled “Sustainability and Organisation Change”, which sets out why efforts to achieve sustainability in organisations must focus on cultural change. 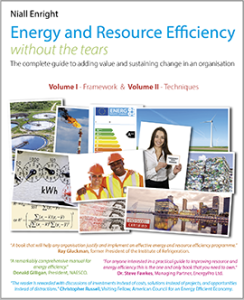 This makes uncomfortable reading for many sustainability, environmental and resource-efficiency professionals. We are used working within the defined domains of technology (engineering), systems (EMS) or regulation (compliance). All this culture stuff sounds far too difficult and we are not accustomed to – actually we are uncomfortable – selling this kind of process to the leaders in organisations. But Bob Doppelt does not compromise – he is saying that anything less than a cultural transformation is tinkering at the edges of sustainability. And he is right, of course. So we need to understand that this is a book setting out a process to achieve significant and long-lasting change in organisations. It addresses the many reasons why there is resistance to change and the difficulties associated with making change permanent. It encourages us to think about the change process as taking several years and requiring the commitment of many people, not least the leadership of the organisation. So for anyone embarking on such a program it really is a wake-up call to the nature of effort involved. These steps are sequential, but illustrated in a circular arrangement, so that one can back-track in the process in order to adjust course or address changed circumstances. I like that fact that verbs are used to describe the solutions – emphasising that actions are what matters. The language feels a little preachy, for example I am not sure that I would go around characterising the status quo as “patriarchal” thinking – it seems more to me that we in the business of busting paradigms rather than gender barriers. In my experience a lack of action on sustainability is more an error of omission or ignorance rather than an error of resistance or denial. But perhaps that’s the optimist in me! The change management process set out by Bob Doppelt reads true to me. It is very well articulated, with each of the steps covered in its own chapter. 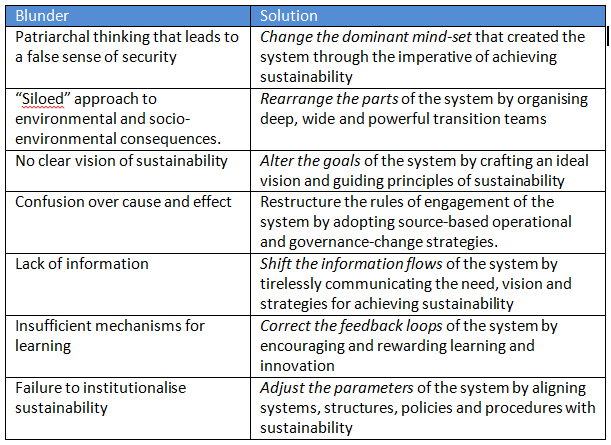 It draws heavily on Donella Meadow’s classic “Places to intervene in a system” (by the way Donella Meadows was one of the authors of the “The Limits to Growth”, a milestone in environmental thinking, which I have covered in an extract my own book on resource efficiency). This is where I have some small niggling doubts about this book. Not with the fundamental premise or the process or the writing (which is excellent) but rather with applicability. The book sets out an ideal process which is rational, self-consistent, and clearly in tune with many great thinkers in the world of change management. But I am not actually sure anyone is doing this process. Sure there are a few standout companies like Interface Carpets who are the poster-children for sustainable transformation. But in my 20+ years doing this stuff I haven’t ever come across an organisation committing as wholeheartedly to a change process focused just on sustainability. In reality many organisations approach sustainability in a much messier and less structured way. They proceed forwards in smaller steps, sometimes gaining ground, sometimes losing. They might excel in one aspect but perform poorly in others. Those of us driving these changes recognise that this is not ideal but at the same time we are rarely in a position where we can fire up the leadership to commit to a proper process. Perhaps we have to wait for external factors to create sufficient imperative to enable these kinds of programs (see Paul Gidding’s “The Great Disruption” for an exposition of a crisis-led economic transformation). The good news is that Doppelt’s book does still offer great insight to those of us who are pursuing these less that ideal trajectories. There is lots of practical advice, from breaking down silos to embedding change, which will help us achieve greater success in our programs. It is good to be reminded what perfect looks like, and to question the real effectiveness of what we are doing. Just so long as any gaps we identify leads us to be invigorated by the possibilities for improvement rather than disillusioned by the scale of the challenge or our own shortcomings. Caveat considered, this is a must-have title. A fundamental examination of change management as it applies to sustainability, with a solid foundation in theory and practice. Few organisations will buy into such a transformational process. In practice, however, many of the concepts are relevant to less ambitious programs. Initial chapters are a good foundation, but it will be experienced sustainability or resource efficiency practitioners who will get the most out of this title. Based on the Amazon price this scores well! If all this does is to irrevocably cement the notion that sustainability is about change then it will have paid for itself many times over. If you are planning to buy this book, please support this site by purchasing using the link to the left of clicking on the image top. 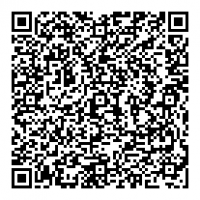 By selecting the main image you will be taken to the Amazon site for your current location. If this is not the correct location, please select from the alternative sites shown by the mouse-over icons.